BUY2BILLIONFOLLOWE is a one-puzzle game. The experience may be pointed, meditative, or haunting. It depends on you. If you wish to read a personal note before proceeding, you may do so here. The game is free; please take it. You can come back and leave a tip later, if you think the game deserves it. Every dollar counts and is forever appreciated. Brush Some font by Xerographer Fonts. Aero Matics font by Jayvee D. Enaguas. Some code adapted from Figment Engine. 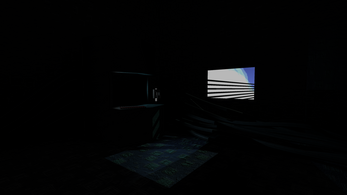 Inspired by the work of rook and by Serial Experiments Lain. "2016, Games Criticism, and The Inescapable Madness of BUY2BILLIONFOLLOWE" by Nate Kiernan via Kritiqal.